Koa is a standard Salesforce community template. 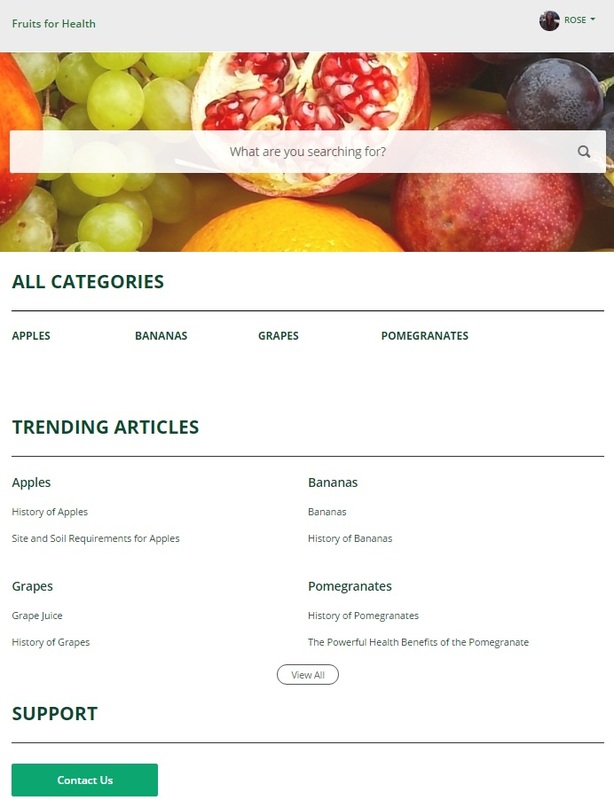 It lets users search for articles and it is optimised for mobile devices. The Koa template only has basic features and a standard set of colours for its design. A drop-down menu in the header provides quick access to the User’s Profile, Contact Support page and Log Out option.